Kate is a Clinical Psychologist who has worked with infants, children, adults and families since 2004 in a variety of settings including child and adolescent mental health, chronic condition and pain management, early parenting services and private practice. Kate has a particular interest in assisting clients through life challenges such as pregnancy, parenting, grief and loss and health-related difficulties, and facilitating individual growth and wellbeing. 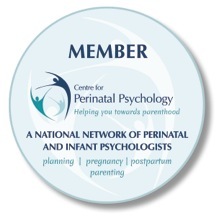 Kate currently specialises in infant and perinatal mental health, providing support in the transition to parenthood and early parenting years. Kate works collaboratively with her clients and uses a range of therapeutic approaches individualised to clients’ specific needs, including Cognitive Behaviour Therapy, Acceptance and Commitment Therapy, systems and family therapies and attachment-based approaches. Kate also has extensive experience training psychologists as past Director of the Monash University Psychology Clinic and Convenor of the Doctor of Psychology (Clinical). She remains involved in the Clinical Psychology training programs of Monash and Deakin universities, and enjoys mentoring advanced trainees through registrar programs in Clinical Psychology. Kate also provides clinical supervision for continuing professional development, mentoring and coaching, professional development seminars and secondary consultation to other health professionals such as MHCNs, GPs, MH social workers, parenting and family support workers, youth workers, counsellors and case managers. Kate has established Valley Family Health to bring together high-quality clinicians from a range of psychology and allied health disciplines. Her vision is to provide a comprehensive service that offers a full range of assessments and therapeutic treatments for clients across the lifespan in an environment that supports and fosters growth and wellbeing for both clinicians and clients.